The Huron County Public Works Department and BM Ross are in the final stages of preparing for a massive urban renewal project for County Road 12 through Seaforth. Manager of Public Works Mike Hausser and Project Manager Imran Khalid both spoke to the project at Huron County Council’s Jan. 2 meeting, explaining that the project will be completed in two phases over several years. While more information is needed for phase two of the project, it is estimated that phase one of the project will cost in excess of $5 million. Khalid spoke to the project at the meeting, saying that it would be a partnership between Huron County and Huron East. The RFP (request for proposals) was awarded to BM Ross in May, 2018. He told councillors that the project will involve the reconstruction of the road, storm sewers, new sanitary sewer mains and some of the water system. Major benefits, he said, would be the revitalization of the Seaforth downtown core and the extension of sewage servicing to Egmondville. Khalid said the project would be a “significant undertaking”, hence the phased approach. Each phase, he said, would be approximately one kilometre in length. The first phase would be on Kippen Road from Front Street to Lloyd Eisler Street, which has been expanded to include the side streets of Thompson and North Streets and Silver Creek Terrace (the south end of the main street). Design for phase one has already taken place, while construction will begin this year, followed by top coat paving in 2020. Design for the second phase of the project (the north end of the main street) from Lloyd Eisler Street to Highway 8 will take place this year, followed by construction in 2020 and top coat paving the following year. Khalid said that in addition to improving the main street through Seaforth, there are many other opportunities presenting themselves as a result of the project. He said that the lanes will be widened for a shared bicycle route with continued two-lane usage, though there will be no formal painted bike lane. The project will also upgrade the storm drainage system, extend the sanitary sewage system to Egmondville and improve pedestrian accessibility. The Kippen Road (south end of main street) portion of the project will cost an estimated $3.85 million, with the county paying $2.645 million and Huron East paying $1.205 million. Huron County will pay $188,500 of the $237,000 total cost of the Silver Creek Terrace project, with Huron East picking up the remaining $48,500, while Huron East will pay the entire $1.164 million cost of the North and Thompson Streets project. Due to the extent of the work, Khalid said in his report that detours will be established around the work on the Seaforth main street. Truck traffic, he said, will be intercepted on Highway 8 and Highway 4, provided with an opportunity to route around the community. Local traffic, he said, will be detoured through Egmondville by way of Bayfield Street, Front Street, William Street, Isabelle Street and Brantford Street and trucks will not be permitted on the detour. 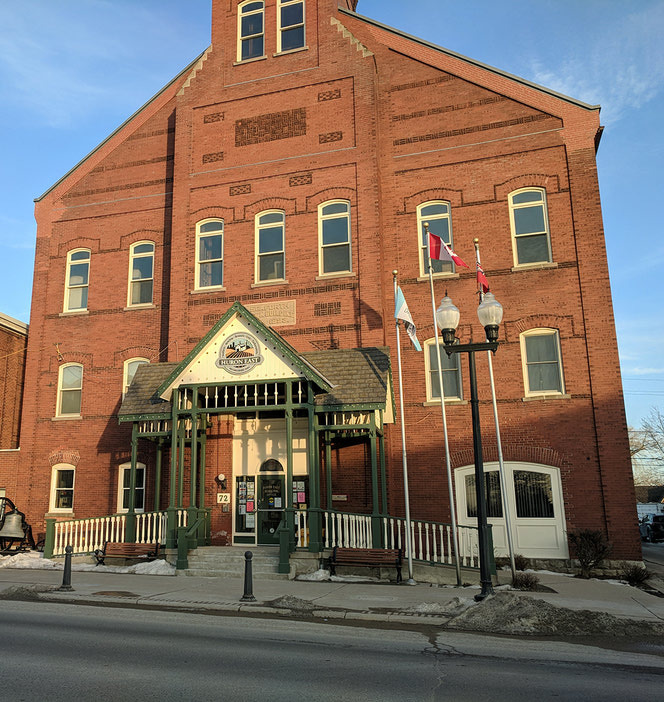 After speaking to Huron County Council on Jan. 2 in Goderich, Khalid said he planned to speak to Huron East Council at its Jan. 8 meeting in Seaforth, following by a public information centre on Jan. 15 from 3-7 p.m. at the Seaforth and District Community Centre. There will be a presentation, he said, between 3:30-5:30 p.m. He also said that he will be updating Huron County Council, Huron East Council and the Seaforth BIA along the way.